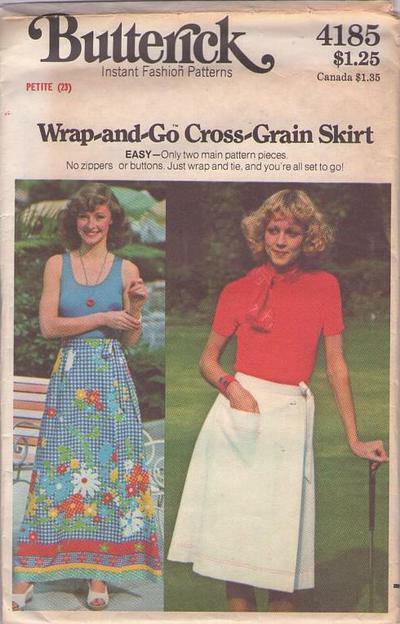 70s Hippie, Retro Petite Boho Clothing Patterns - Front wrapped skirt in two lengths is gathered into waistband that extends into tie ends. With or without patch pocket or topstitch trim. Purchased tops. Skirt is cut on cross-grain (bias).